SpiderScribe is a free online mindmapping tool that makes it easy to connect ideas to media assets. 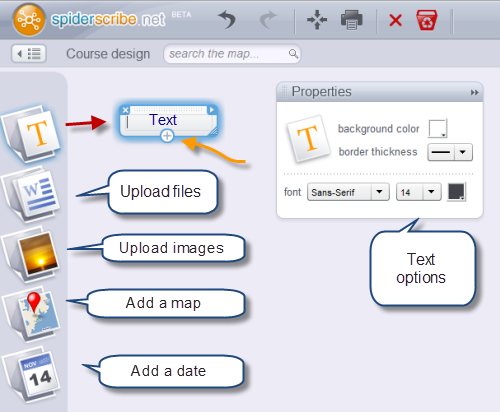 SpiderScribe is a browser-based tool that lets you create mindmaps and organize content and concepts. You can connect text, images, files, Google maps, and calendar events. Your maps can be private or public. Just register for an account and click “Create New Map” to get started. You’ll be prompted to give your map a title and a description. Your map dashboard provides icons for text, files, images, maps, and calendar events. Click and drag an icon to the map to place it there. When content is being added to the map, you’ll see property options related to that content. For example, you have the option to modify font type, weight, and color for text. You can also modify the background color of the “box” surrounding it. To link one content node to another, just drag from the “+” sign at the bottom of that node (yellow arrow in illustration above). Although there isn’t a short cut way of linking to an external website, you can simply copy a url into a text box to create a functional link. 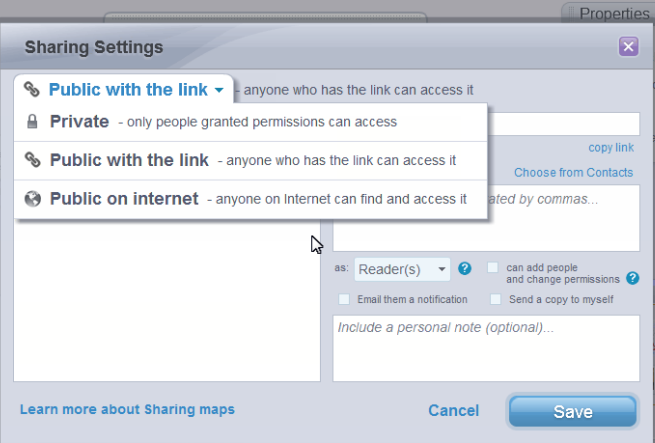 You also have some versatile sharing options. You can find out more about SpiderScribe in this video and keep up with new developments by reading their blog.